Selling YOUR house is OUR specialty. Read our seller info to learn more! Provide you with a FREE valuation to help determine your property's current market price. Review comps in your area to determine the current market conditions. 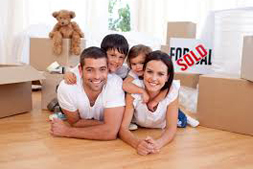 Advise you how to prepare your property to show to bring you the best price and quickest sale. Utilize technology including the local MLS, AZHomeOnline.NET web site, Realtor.com, Homes.com, Zillow and dozens of other websites, to showcase your property. We let the world know about your home! Advertise in various mediums to bring buyers to the market and to your property. 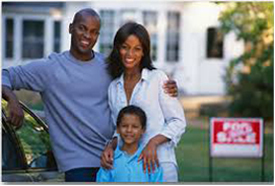 Coordinate Open Houses to display your house to prospective buyers. Network with other real estate professionals in the area to find a buyer for you. Negotiate on your behalf to receive the best price and terms for you. Work with you through the complex paperwork of today's real estate transactions. Even if you are facing foreclosure or negative equity, it still may be possible to sell your property. We are specially trained in handling distressed property sales. Your satisfaction is important to us and our desire is to provide an exceptional selling experience focusing on outstanding customer service and proven sales methods. To get started, fill out the simple Seller Request Form to receive a No Obligation Market Analysis of your property. "We never realized how much effort is required to buy or sell a home, we couldn't have done it without you! You helped us purchase our first home in Buckeye, then helped us sell it and buy a Brand New Home in Tolleson. You helped us with lending, negotiating with the builder, going to the design center...every step of the way you had our back! Thank you so very much!" "There are a zillion realtors in the Phoenix area...but none like DeWitt and Sharon. Whether you need to buy or sell, there isn't anybody more competent or caring. I could go on and on about these two. I won't, just know, even when trouble hits your life, they are there for you!" "Wow, on the market less than a week, multiple offers and sold highest in the neighborhood. Thanks for your attention to detail and your professionalism. 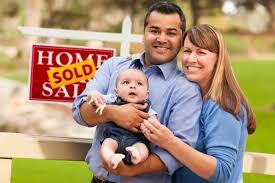 We will recommend you to anyone needing to sell a home!" "Your attention to detail and your professionalism won us over! Thanks for helping us sell two houses and buy another. Hopefully we'll stay put for awhile as we are so happy with the location and amenities of our new home. If we do need to buy or sell in the future, we'll be calling you again and will surely recommend you to anyone else who is looking." "Your team is the best! 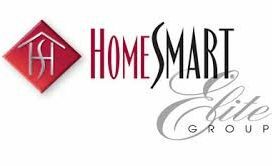 You have helped me sell over a dozen homes in the Phoenix metro area and have done so with professionalism and integrity. Each transaction went smoothly. I'm a client "for life" and I will recommend your services to everyone I know. Thank you!" "Thank you for continuing to support us with our real estate needs! You helped us buy our first home in San Tan Valley, then helped us sell that home for a profit and then helped us buy our brand new Richmond American home in Phoenix recently. Your knowledge of both the buying and selling process and your experience with new home construction and negotiating with builders was invaluable to us! We can't tell you enough how glad we are that we found you as our realtor! You really listen to our wants & needs and...you deliver!" "Thanks for all you did to help us sell our home in preparation for retirement and relocation. You made a stressful situation so much easier. We appreciate your knowledge of the market and the process. You handled the details so we could focus on the move. Thanks again." "We are so grateful for all the help and encouragement we received from both of you. We appreciate all your help throughout the process and especially in helping us navigate the requirements of the builder's lenders, through the purchase of two homes and the sale of the first one. You helped us with inspections and details that would otherwise have been difficult to handle from Illinois. You have made the move to Arizona so much easier. Thank you for being our realtor and friend."